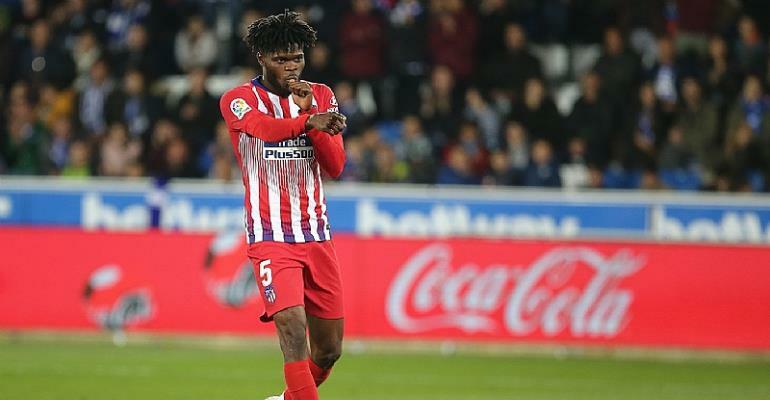 Thomas Teye Partey has expressed his delight after scoring a goal in the La Liga match against Deportivo Alaves on Saturday evening. The combative midfielder scored an audacious goal as Atlético Madrid wallopped Mubarak Wakaso's Deportivo Alaves 4-0. Partey controlled a superb low pass from Koke on the edge of the area, he made a yard before firing a wonderful strike into the top corner via the woodwork. Mubarak Wakaso featured in that game for Alaves. Partey has featured in 25 matches in all competitions for this season scoring three goals in the process. The 25-year-old will be hoping to feature for Diego Simeone's side when they play FC Barcelona this weekend.